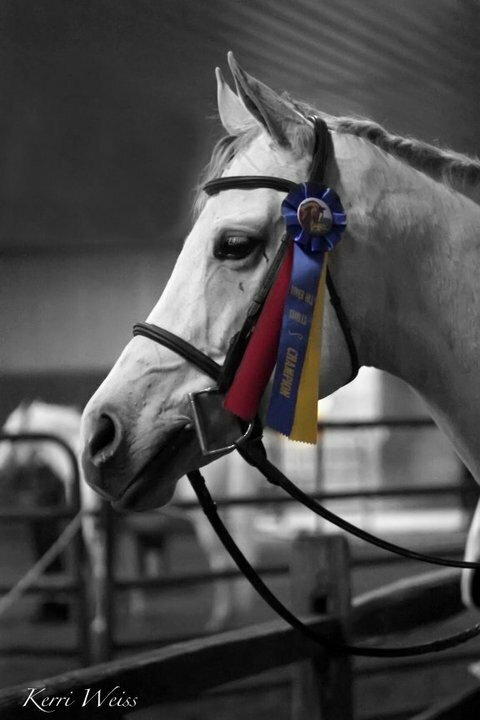 Tara Potempa Sladek is the owner and trainer at Horse Powered Equestrian, nestled in Chicago’s southwest suburbs. 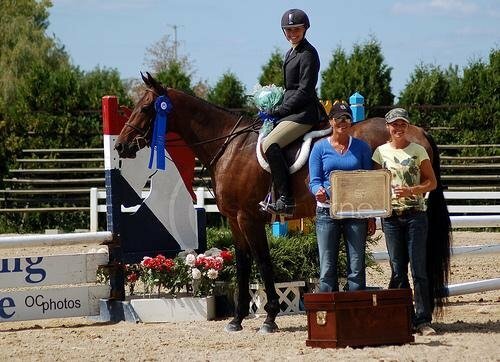 She has had success in showing, training and teaching not only well schooled hunters, jumpers and riders, but green horses and riders who do not yet have show ring confidence. Her ability to size up a horse and adapt her riding to each mount’s preference is a talent to envy. Tara has been able to transfer this ability to helping students pick the appropriate horse for their ability and personality, creating lasting horse and rider bonds. Tara’s finesse as a trainer and competitive edge as a rider, have earned her awards and respect alike. Tara grew up riding at Perfecta Farm, under the highly successful hunter, jumper and equitation trainer Kim Gardiner. 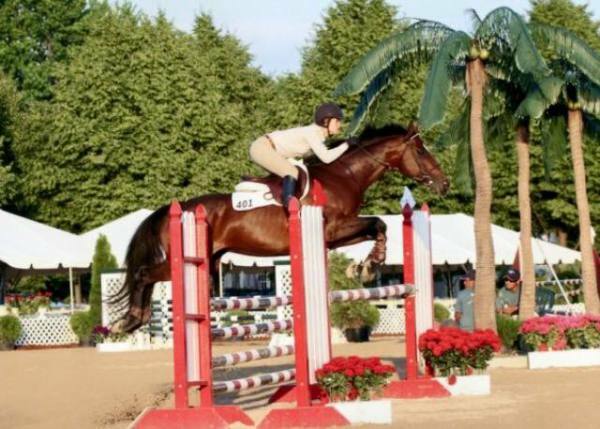 Under Kim’s experienced eye and tutelage, Tara was a top junior rider, winning the Illinois Hunter Jumper Medal Finals in 1995. After completing her junior career, Tara bypassed amateur status and began her professional career as she ventured out to southern California, one of the toughest equestrian communities to break into as a young professional. While in California, Tara was a trainer at the prestigious Los Angeles Equestrian Center, working alongside top trainers and riders such as Diane Langer and Richard Spooner, providing her with invaluable experience. During her time in California, Tara quickly developed a reputation for her methodical, technical teaching and training of both horse and rider. This reputation followed Tara back to her home in the Midwest, where before founding Horse Powered Equestrian, she was a trainer at several top hunter jumper farms such as Judgment Farms in Oswego, IL, and Tower Hill Stables in Hampshire, IL. She has served as a judge at many hunter jumper shows and is a knowledgeable clinician, traveling throughout the Midwest. Tara also holds a degree in equine management.